I really like this outfit. I found the sweater on clearance (just before Mother’s Day) at TJ Maxx and have worn it a couple of times already. It’s super lightweight, so I expect I will pull it out often this summer. I layered it here with a white Tank top. Cute with white shorts or jeans, I also love it with navy. These cropped pants LOFT and I got them before I had T.. so 8 years ago. 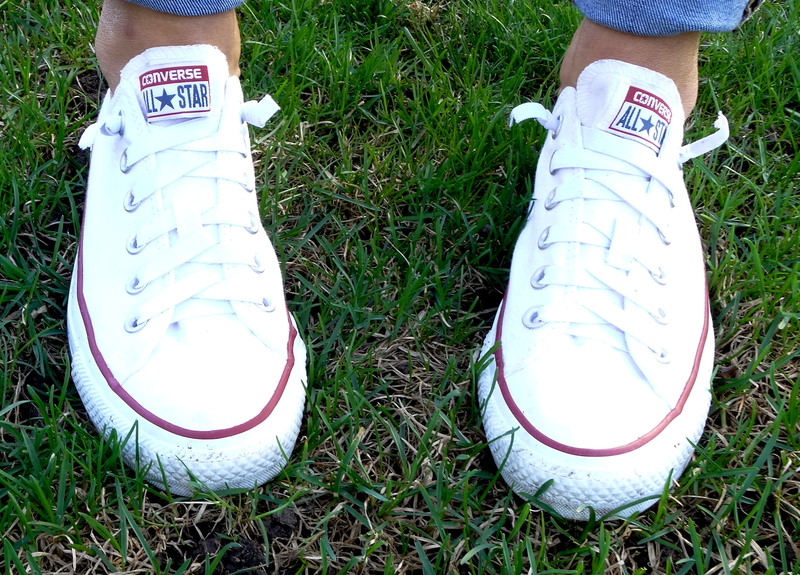 This day I am off to Lillydale and I’ve never been, but from what I’ve seen it looks like sneakers (white Converse All Stars, seen here and here) are a good footwear choice. My other accessories include my new fav necklace (seen here), my clearance watch from Target (also seen here) and my new gold hoop earrings, also from TJ Maxx. 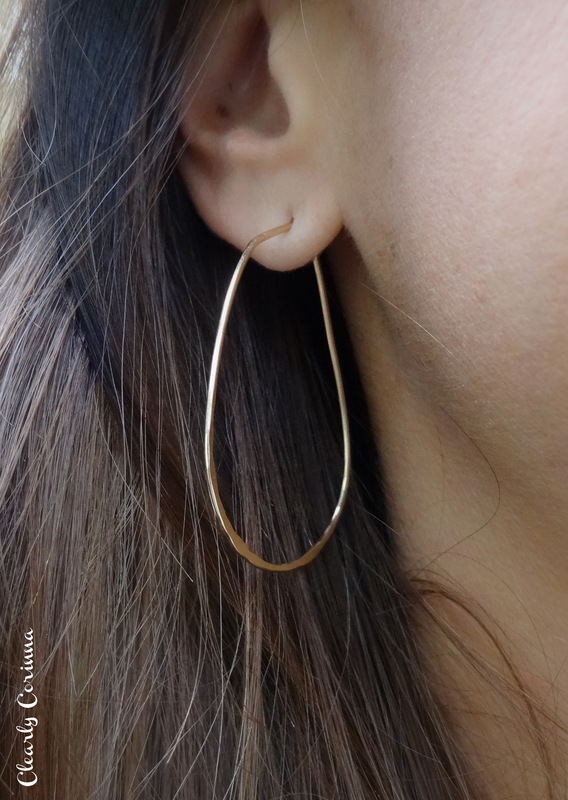 I especially like them because they are not quite hoops, but more like loops and they are slightly hammered at the bottom of the loop giving them a little character. As an added bonus, I just saw these pictures of my dear Olivia the day after I wore this outfit. I must be on the right track, yes?